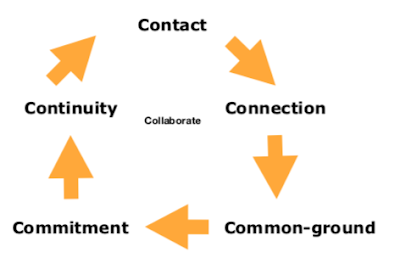 Kevin says: Great teams, great companies use all three approaches. 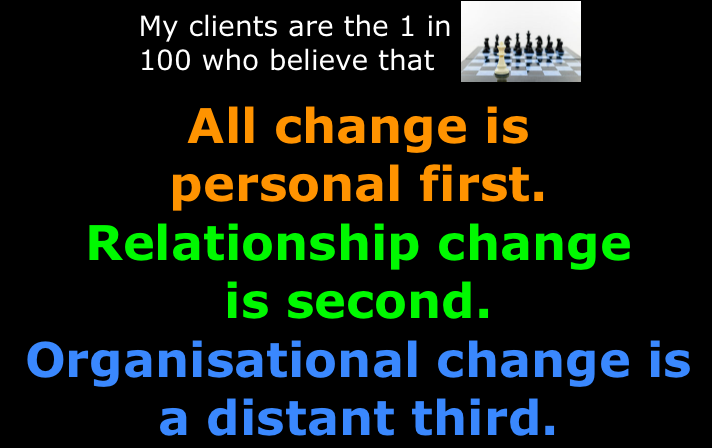 The Leader’s job is to ensure the right kind of change is implemented at the right time for the right reasons. 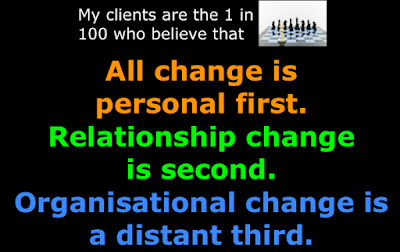 While I agree with Kevin the key I believe is accepting that all change is personal first, relationships second, and organisations a distant third. Maybe 1 in 100 believe this. You?